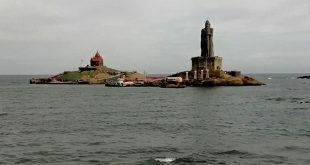 Kanyakumari Tour Package Cost, Booking, Budget package, Best Time to visit. Peak Season: 2nd Week of Dec – 2nd Week of Jan. Crowd gathering will be high for Sunrise and Sunset Viewpoints. Sunrise happens between Vivekananda Rock Memorial and St. Thiruvalluvar Statue. No entry fees to watch this event. This place is reached by Ferry from the Shore, which is 500 mt Away. It takes 5 mins to reach this place. Entry fees Rs.20/ person. This statue is 133 ft in height and can be reached by Ferry. 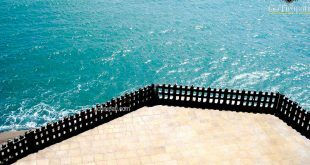 The confluence of The Bay of Bengal, The Indian Ocean and The Arabian Sea at Kanyakumari. This palace was built in 1601 AD by the Travancore Kings. 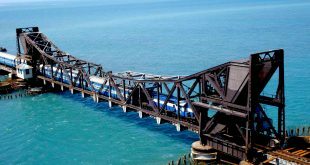 This place is 40 Km from Kanyakumari. This palace was recognized as the UNESCO World Heritage site. This bridge used to carry river water for the irrigation. This was built in 1966.